As any driver should know, there is always an inherent risk when driving on a public road, no matter how defensively and attentively one drives. Accidents happen, and multiple factors can greatly increase the chances of a crash. Perhaps the most significant factor is one that is outside your control: other drivers. Namely, inexperienced and distracted drivers make for a particularly dangerous environment for all involved, and teen drivers in particular tend to exhibit both of these qualities. By understanding the correlation between teen drivers and auto accidents, you can better prepare yourself or a loved one while on the road. Moreover, if you are involved in an auto accident, our San Diego legal office is prepared to help. Take the following information into account if you have recently been involved in an auto accident with a teen, or if you simply want to be cognizant of the statistics. Teen drivers are not, themselves, a problem; after all, everyone needs to start somewhere. However, the instances of teens involved in auto accidents is still a prevalent problem in our society. In 2011, nearly 300,000 teens were treated in the emergency room after a car crash, and roughly 2,650 were killed. Although 15- to 24-year-olds only make up 14 percent of the U.S. population, they account for more than twice that percentage in costs of motor vehicle injuries. California is no exception to this trend. According to a census from 2008, California has more passenger and pedestrian fatalities from teen drivers than any other state in the country. Although injuries and fatalities from crashes have gradually begun to decline in recent years, there is still a long way to go, especially for younger and newer drivers. Failure to recognize danger: Newer drivers are less likely to notice hazards on the road or other drivers who are ignoring traffic laws. In other words, teen drivers have not yet developed good “defensive driving” habits. Dangerous driving: Teens are more likely than other drivers to speed or tailgate, as they have not yet learned just how dangerous such tendencies can be. Slower reaction times: Inexperience means lower muscle memory. In the event a quick reaction is needed, such as braking for an animal or road hazard, teen drivers may not have the habitual response needed. Distracted driving: Teens are much more easily distracted than other age groups while driving. Having friends in the car or even the radio on can lead to risky driving behavior. Worse yet, cell phones are commonly used among teen drivers, greatly increasing the chance of an accident. Unfortunately, alcohol consumption is another factor that may play a part in auto accidents. Despite age restrictions on alcohol use, about 25 percent of all fatal teen car crashes involve underage drinking and driving. Of those fatalities, 70 percent of them were not wearing their seatbelt either. This sort of risky behavior is a key component of teen auto accidents, and is sadly a reason why all drivers must be constantly vigilant on the road. Prompt and appropriate assistance will lower the chances of any complications, medical or legal, down the road. 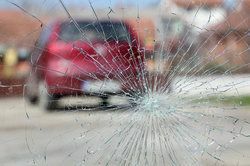 Once your well-being is taken care of and the right authorities have been notified of a crash, it is in your best interest to document any evidence of fault. By contacting an experienced personal injury lawyer, evidence from the crash can be collected or documented, and copies of medical and legal records can be made promptly. Amassing such evidence will greatly aid in any future legal action, which you will likely want to pursue to ensure full compensation. With a strong case, you can gain compensation for any damages, including medical bills, property damage, lost wages, pain and suffering, and funeral costs in the event of a fatality. If you have any questions or concerns regarding a recent accident, our office is ready to help. Call or email us to set up a free consultation, and let Chris Olsen work on your behalf.